Apprentice engineer Jordan Gorner is about to embark on going it alone as a fully qualified engineer having completed his apprenticeship 6 months early. He joined the company in July 2011, shadowing our engineers and learning on the job, and he’s now gained enough experience and knowledge to start running his own jobs. It usually takes a minimum of 3 years to get to this stage so it’s a real achievement that he’s done it in less than 2 and a half years. Jordan will initially take on light duties and will continue to be reviewed and supported as he makes the transition to being fully qualified. 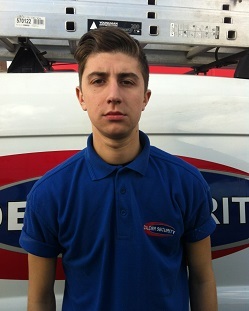 His progression in the company has created a vacancy for a new apprentice and we’re now inviting applications for it. Candidates interested in the position should refer to the job vacancy here. next Win a £25 Voucher for your Feedback!